この記事にはアメリカ合衆国内で著作権が消滅した次の百科事典本文を含む: Chisholm, Hugh, ed. (1911). 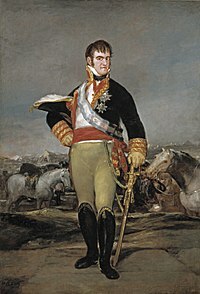 "FERDINAND VII". Encyclopædia Britannica (in English) (11th ed.). Cambridge University Press.